There are several kitchen appliances which help you in simplifying the tasks and saving the time. One of the essential kitchen appliances includes the food processing appliance. 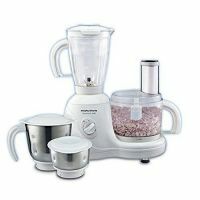 If you are looking for food processors, then you can find a wide range of food processor products on DealsCorner from various brands and online stores. You can compare the prices offered by the various online stores and choose the product of your internet in the lowest price range available in India. 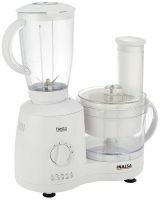 Most of the people consider the food processor and the blenders as same appliance, but actually both the appliances have different features and functions. Both the appliances are used for breaking the food into smaller pieces, but blenders are used for liquidating soft food or liquids into emulsified finished products. You can prepare fruit purees, sauces, soups, beverages, etc. using the blenders. 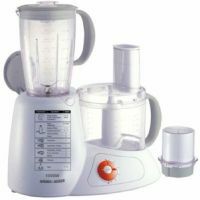 Some of the blenders also have the revolving speed of eighteen thousand revolutions per minute, and the food processors are equally strong to break solid foods into smaller pieces, but not liquid. The blades given in the food processor do not rotate as faster as the blender, but most of the food processing units can spin up to 2000 revolutions per minute and models with two-speed can spin up to 10,000. 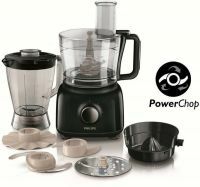 You can find interchangeable discs and blades in some of the food processor models which are useful for multiple tasks. Such models can be used for pureeing, kneading, cutting, grinding, chopping and shredding. 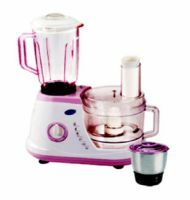 While shopping for the food processor, it is necessary that you are aware about the various types of food processors and features available in various models. Some of the popular food processing models are manual food processors, electric food processors, electric chopper food processor and many more. You can find different types of food processing graters which are useful for grating and shredding food items like macaroni or cheese. There are different types in the manual food processing grater models like box graters, rotary graters and micro graters. 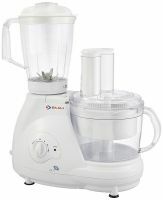 Similarly, you can also find food processors for chopping which is useful for chopping vegetables, fruits or meats. Instead of spending time in chopping using the chopping board, you can save your time and energy by simply adding the ingredients into the chopper. There are several types of food processors for chopping, mash, slicing, or pressing. Almost all the food processors come with bowl, lid, blades, and two or more discs for grating or slicing the food. You need to ensure that the food processor should also have safety features to prevent you from any kind of injury during the process. Similarly, to the manual food processing units, you can find a wide range of electric food processors with chopping, grating, slicing and pressing functions. The food holding and the power capacity may differ from model to model. You can food processors in various sizes, shapes, designs and colours. Whether you are looking for yourself or planning to gift someone, kitchen appliance like food processors are useful for every household. You can find the food processors from the local stores, but most of the local stores have local brands or limited stocks. Look for qualitative and branded food processors so that you can use it for a longer period of time. You can find food processing units from almost all major brands and online stores on DealsCorner. 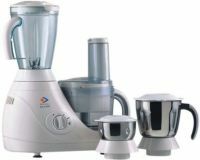 We have well known brands like Cuisinart, Kenwood, Philips, Inalsa, Black & Decker, Bajaj, Morphy Richards and many more. Search the product of your choice, use the filter options to narrow your search results and choose the product of the product you need in the reasonable price range.